A divorce can be a stressful time with emotions running high and people doing and saying things they might later regret. However, proving you signed something under duress involves far more than just showing some symptoms of stress. If you can prove duress, you might be able to get the terms of your divorce modified. The laws for this are governed by each state, so consult an attorney to find out the specific rules regarding duress in your state. Once divorce papers are signed, the terms of the agreement are final. Simply changing your mind or feeling that you got an unfair deal won't be enough to reopen the agreement. Proving some type of serious misconduct, such as duress, coercion or undue influence, or a substantial change in circumstances, can persuade a judge to reconsider the terms of a divorce. Duress occurs when your former spouse performed an unlawful act or issued a threat that induced you to sign divorce papers against your free will. The key to a claim of duress is the loss of free will. In Connecticut, for example, this means having no viable alternatives due to the threats. 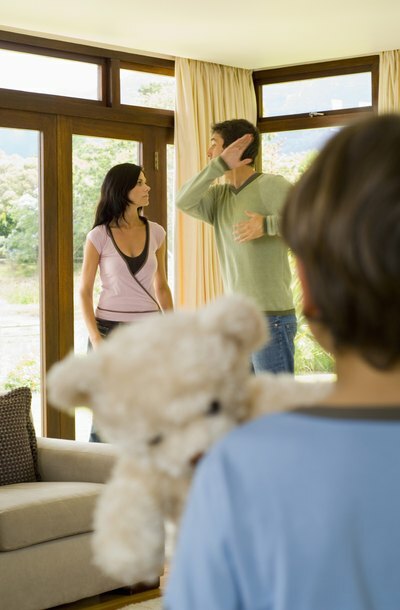 Threats can be of physical harm or psychological, such as denying you custody of your children. When determining duress, a judge will consider not only the threats but also the victim's state of mind. In South Carolina, for example, what constitutes duress against one person might not apply to another, depending on the individual's emotional state. A spouse's testimony and testimony from others who witnessed the threats will be considered by the court as evidence that threats were made and that the person agreed to terms of the divorce due to those threats. The bar for proof can be high. In Virginia, a judge needs clear and convincing evidence of duress. Threatening to commit suicide, for example, might qualify while the couple is together, but after someone has moved on and become involved in a relationship with someone else, it may no longer count as duress. Coercion and undue influence can also grounds for reopening a divorce case. Sometimes coercion is almost synonymous with duress. For example, in the state of Washington, coercion means using threats to make a person do something she would normally abstain from doing or, in the alternative, to keep a person from taking an action. Threats can be direct or indirect and must involve communicating an intention to physically hurt someone or damage that person's business, finances or personal relationships. New York law regarding coercion is similar and points out that a key factor is instilling fear to cause someone to take a certain action. Similarly, undue influence also involves the use of persuasion but tends to focus on the idea of steadily applied pressure over time rather than extreme pressure all at once. In New York, undue influence means imposing a stronger will over a weaker person's will by exploiting a relationship over time, to the point of overwhelming the weaker person. Understanding duress requires also understanding examples of what duress is not. For example, threatening to embarrass or annoy a person usually isn't serious enough to justify a finding of duress; but threatening to release information that could cause a spouse to lose her job can qualify as duress. Feeling so much anxiety that you want to sign an agreement to avoid a trial isn't duress. Having an attorney that isn't as good as your spouse's attorney doesn't constitute undue influence or duress either. New Jersey Divorce Lawyer: Can I Reopen My Divorce Case?